LEAD JUDGMENT: ITA GEORGE MBABA, J.C.A. This appeal borders on the administration of estate under customary law. The appeal is against the Judgment of the Abia State High Court, delivered by Justice C.C. Jones Udeogu. The Appellant’s Case was that he was the sole surviving grandson of the grandfather, Eboh. The 1st to 4th Claimants/respondents, being the sons of 5th Claimant/respondent, female child of Ironu, were illegitimate children of 5th Claimant and were, by native law and custom of Umueze Ibeku, incapable of inheriting Ironu’s (his uncle) lands. ​(1) Ala Mmiri, (2) Iyi Achi, (3) Ihu Oku, (4) Oru Mkpuru, (5) Ukwu Udara (6) Ndagbite (7) Isi Ikwu, (8) Uhu Ochie and (9) Ude Ndagbite, which the claimants inherited from Ironu Eboh, according to the custom and tradition of Umueze Alala, Emede, Autonomous Community, Ibeku Umuahia North L.G.A of Abia State, within the jurisdiction of this honourable Court, with an annual value of N100.00 (One Hundred Naira) each. (d) Perpetual injunction restraining the Defendant, himself, his heirs, agents, assigns or privies from further acts of trespass or in any other way interfering with the rights of the Claimants over the said land. The Defendant/Appellant filed a counter-claim. 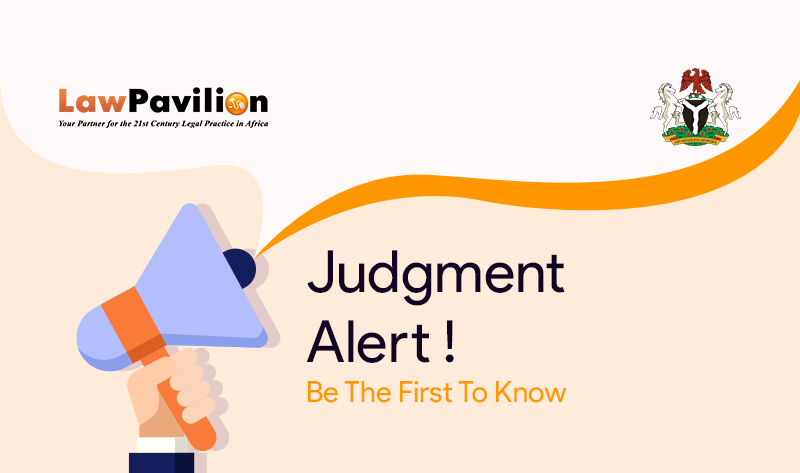 After hearing the case and considering the addresses of Counsel and evidence adduced before it, the trial Court granted some reliefs sought by the respondents and dismissed the counter-claim of the appellant. Dissatisfied, the Appellant appealed to the Court of Appeal. 1) Whether the learned trial Judge, considering the evidence before him, was right to hold that the estate of late Eboh was shared by the children at his death. 2) Whether from the totality of the evidence adduced by the Appellant at the Court below, the Appellant was entitled to the grant of the reliefs in his counterclaim. In conclusion, the Court of Appeal resolved the two issues against the Appellant and dismissed the appeal.